A few weeks ago, I met a former senior Labour minister on the train from London to Glasgow. Despite our differences, we agreed that the current UK Government is the weakest in our lifetimes. This latest Tory fixation has even, no doubt temporarily, overtaken the one they have about Scotland’s journey towards independence. The fact that Theresa May’s proposed deal already appears dead in the water as a result of the events of recent days should encourage those of us who have long argued for a different, better way out of the impasse. Brexit for Scotland can only get worse. So we must acknowledge that this deal is unacceptable to Scotland and her citizens. 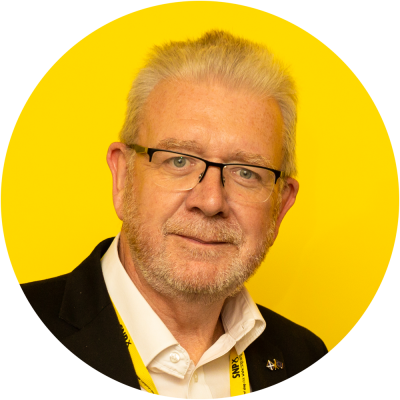 Read the speech given by Constitutional Relations Secretary Michael Russell at SNP Conference in Glasgow. Michael Russell has made a statement to the Scottish Parliament on the Scottish Government’s plans to ensure Scotland is prepared for Brexit. Yesterday’s report from a House of Commons committee is a devastating indictment of the Tory government’s often contemptuous attitude towards devolution. Read the statement given to the Scottish Parliament by the Minister for UK Negotiations on Scotland’s Place in Europe, Michael Russell MSP. Scotland’s Brexit Minister Michael Russell address to the SNP conference in Aberdeen. Over 45 years ago, after much debate, the UK joined the European Economic Community. Today, on Europe Day, our European future is once again in question as the UK stands on the brink of reversing that decision. Michael Russell, Scotland’s Brexit Minister on how, just a year before the UK is scheduled to leave the European Union, we still have almost no idea what a post-Brexit UK will be like. Full text of the letter sent by Scotland’s Brexit Minister, Michael Russell MSP, to Members of the Scottish Parliament on the UK government’s EU Withdrawal Bill amendments. When it comes to protecting Holyrood’s powers, the Tories are on the wrong side of the argument, the wrong side of reason and will ultimately find themselves – just as they did in 1997 – on the wrong side of history. Read the statement given by Michael Russell MSP, Scotland’s Minister for UK Negotiations on Scotland’s Place in Europe, on the Scottish Continuity Bill. Michael Russell, Minister for UK Negotiations on Scotland’s Place in Europe, has written to the UK Brexit Secretary, on the Brexit sectoral analysis.